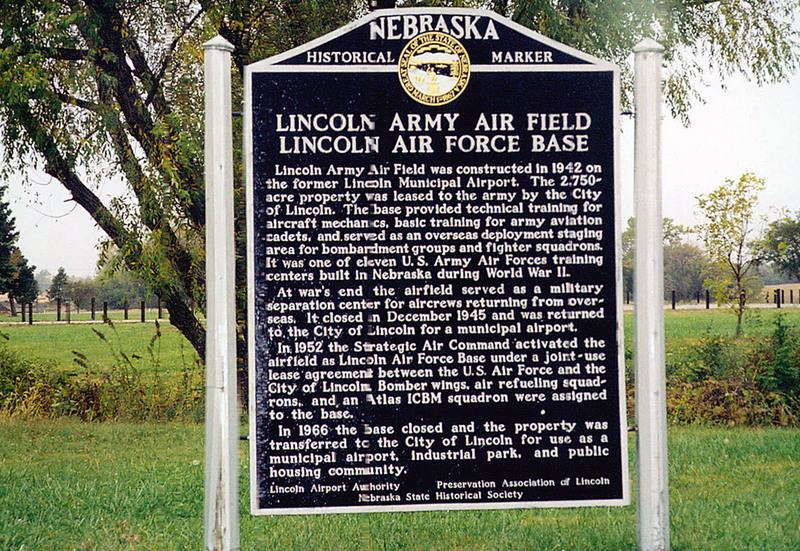 Lincoln Army Air field was constructed in 1942 on the former Lincoln Municipal Airport. The 2,750-acre property was leased to the army by the City of Lincoln. The base provided technical training for aircraft mechanics, basic training for army aviation cadets, and served as an overseas deployment staging area for bombardment groups and fighter squadrons. It was one of eleven U.S. Army Air Forces training centers built in Nebraska during World War II. At war's end the airfield served as a military separation center for aircrews returning from overseas. It closed in December 1945 and was returned to the City of Lincoln for a municipal airport. 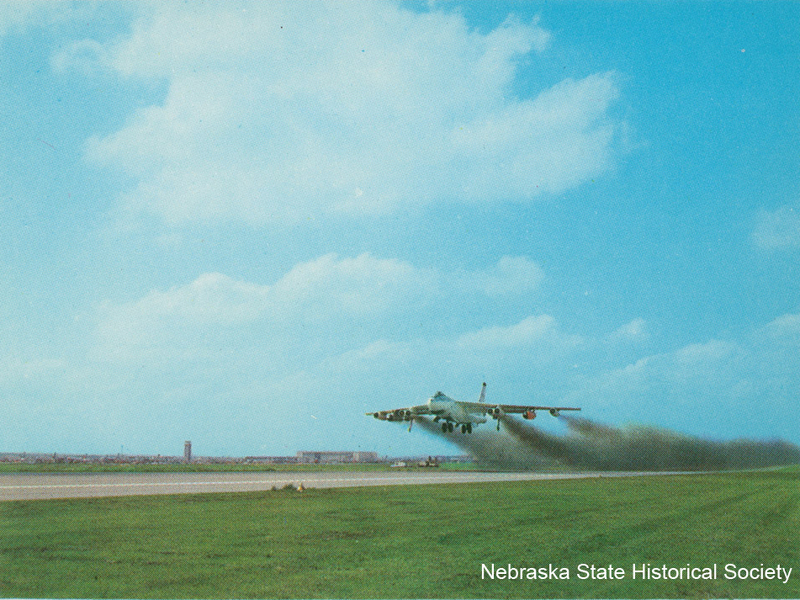 In 1952 the Strategic Air Command activated the airfield as Lincoln Air Force Base under a joint-use lease agreement between the U.S. Air Force and the City of Lincoln. Bomber wings, air refueling squadrons, and an Atlas ICBM squadron were assigned to the base. In 1966 the base closed and the property was transferred to the City of Lincoln for use as a municipal Airport, industrial park, and a public housing community. 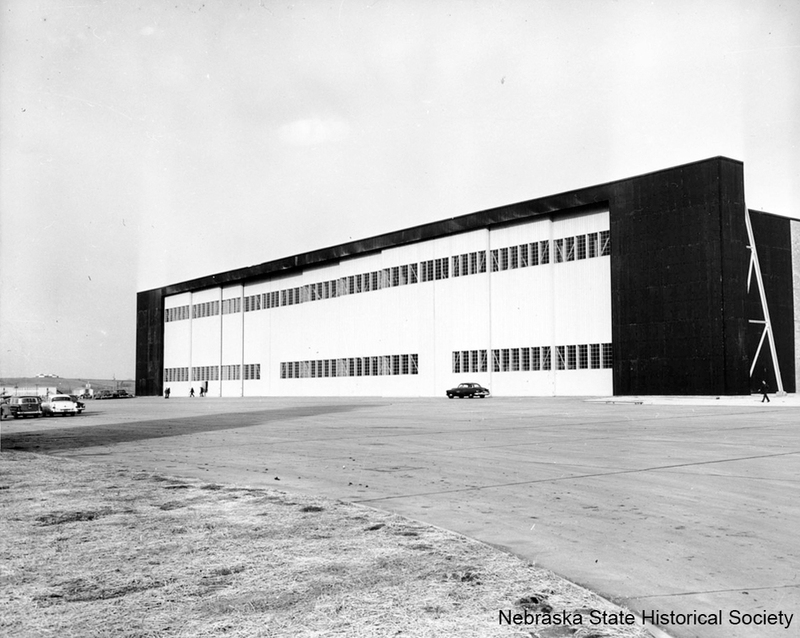 “Lincoln Army Air Field/Air Force Base,” Explore Nebraska History, accessed April 19, 2019, https://mynehistory.com/items/show/332.